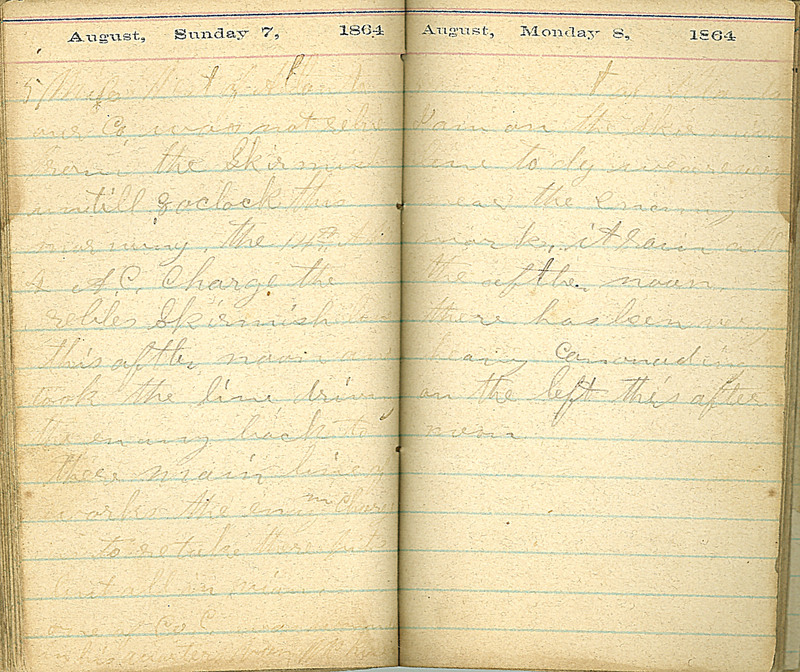 August, Sunday 7, 1864 5 Miles West of Atlanta our Co. was not relive from the Skirmish untill 8 oclock this morning. the 14th ,,A.C. & 4. A.C. Charge the rebles Skirmish [less?] this aftter noon and took the line driving the enamy back to there main line of works the enamy Charge us to retake there [points?] but all in vain. one of Co. C. was wounded in his quarters very [?